Are bathroom and kitchen projects moving away from safe options to embrace eclectic interior trends throughout the home? Philippa Turrell poses the question. With interior trends ranging from rich pigments to dark woods, metallic accents through to botanical prints, there is an eclectic choice of looks for the on-trend home. 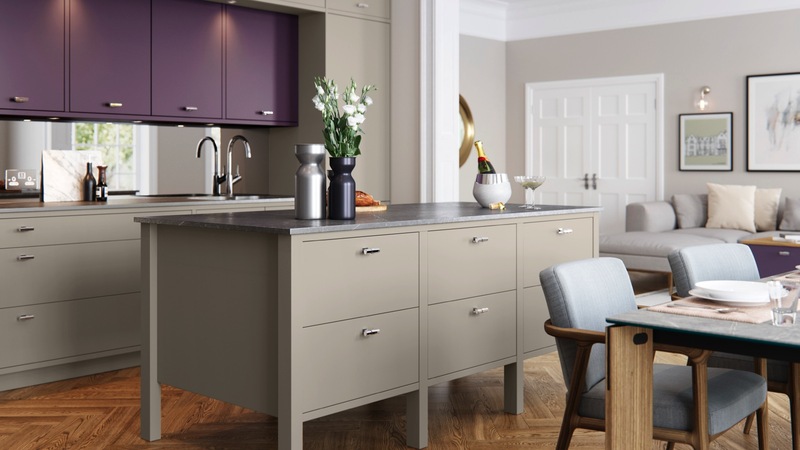 But are these now carrying through to the styling of kitchens and bathrooms, which due to their long refurbishment cycle, often opt for the security of neutrals? And if so, how is this being reflected in these two rooms for fashion forward clients? Is it all about copper, the Pantone Colour of the Year Ultra Violet or Dulux colour of the year, the dusky pink Heart Wood? But there has been a gentle shift away from these clinical environments, as consumers start to embrace warmer tones. A mix of materials from woods, natural stones and minerals started to inject a new palette of soft neutrals. It has been evident in kitchen furniture with the likes of Cashmere and Mussel tones and a multitude of greys. But these shades have also begun to influence bathroom ceramics, as well as baths and shower trays. And these warmer neutrals have been joined by alternatives to the stark shine of chrome and stainless steel with the introduction of rose gold and copper hues which are now across taps, showers and sinks, through to appliances, radiators and even furniture trims. While chrome and stainless steel may still be predominant finishes (would they wear the gold and copper trend in Wigan? 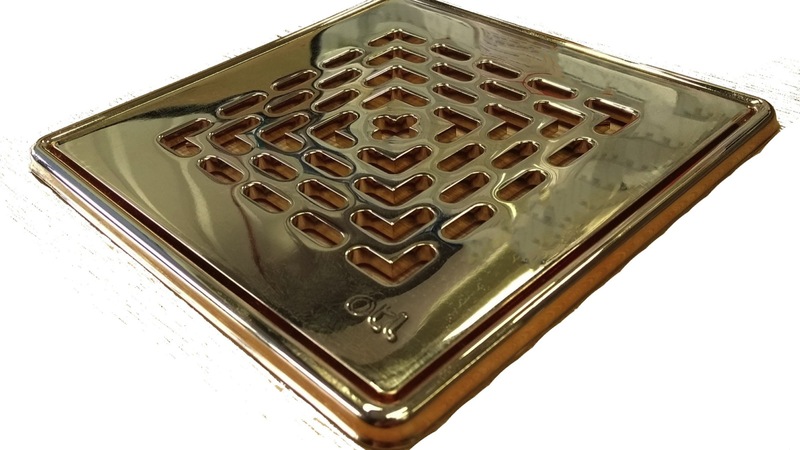 ), the influence of warmer metallics is gaining wider notoriety in kitchen and bathroom design and is proving to be long-lasting. 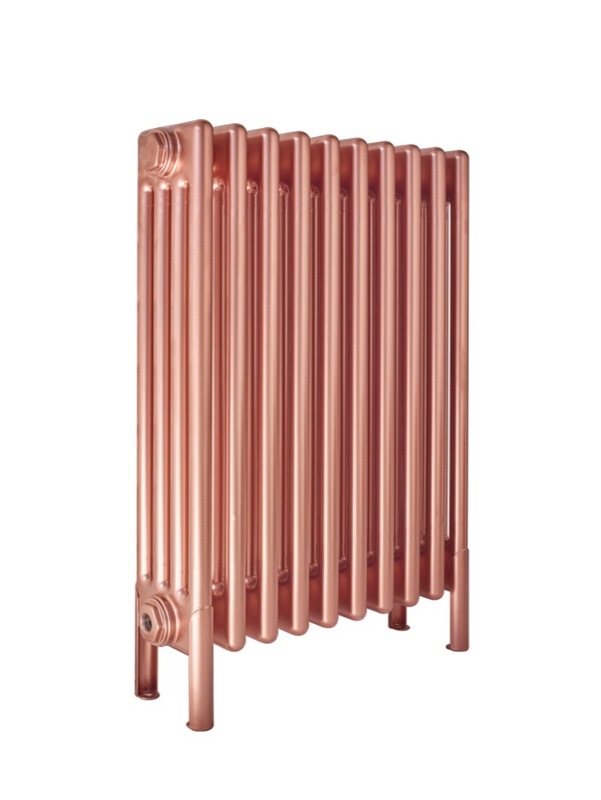 Brand manager of Falmec UK Fiona Barker-Scott comments: “Typically, colour trends have a short life span, however, the trend for copper has not followed suit and continues to remain strong season after season. The trend for metallics has been buoyed by the industrial look, sweeping both the kitchen and bathroom. Crittall-style shower enclosures, mirroring metal frame kitchen units, has seen darker decors come to the fore, also complemented by black sanitaryware, black brassware and even black cabinets. But black has also carried through to the kitchen, not only through appliance finishes but also furniture. Italian appliance manufacturer Steel has recently introduced a black finish and KitchenAid has also unveiled the Black Stainless Steel range of built-in appliances. 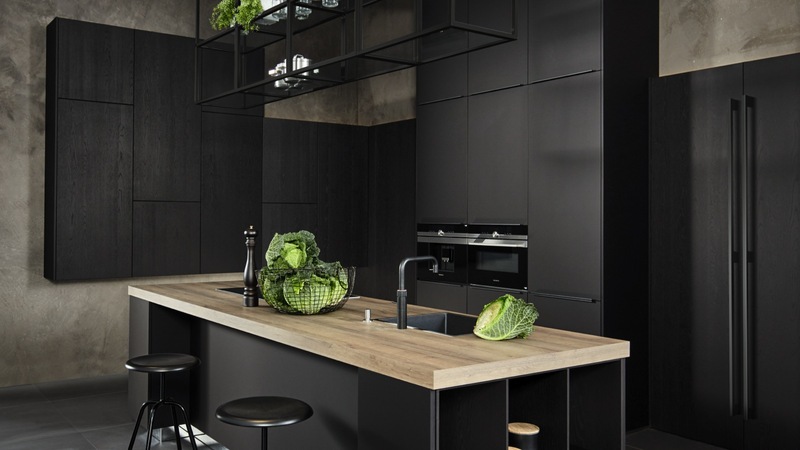 And design manager of Pronorm Gerd Meier believes black is a growing theme for kitchens, adding: “It’s elite, architectural, extravagant and chic all at once, and long prized by all design-led and creative people. 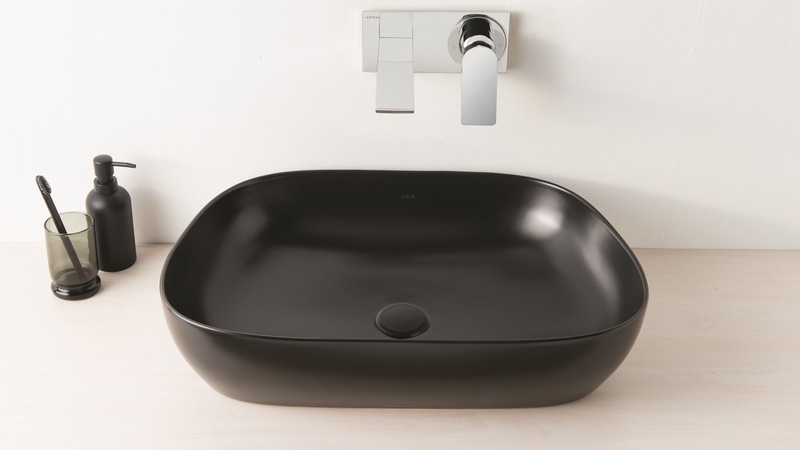 VitrA – Outline basins are offered in a choice of white or matt ceramics including Taupe, Mink and Black. They come in five shapes spanning round, pebble, square, oval and TV (pictured). As black can be a hard colour, Gerd Meier explains how to take this catwalk look into the high street: “We favour a tone-on-tone approach mixing black oak woodgrain structures with plain matt black for softness but lightened with touches of natural blond wood and industrial styling to avoid being too sombre. But for designers and clients reticent to adopt the black kitchen trend, there has been a raft of richer woods entering the kitchen and bathroom market to complement the darker hue. Enter the likes of Tuscan Walnut and Tobacco Oaks. In fact, alongside the perennially popular whites and warmer neutrals, Daval finds richer woods are making headway in sales. 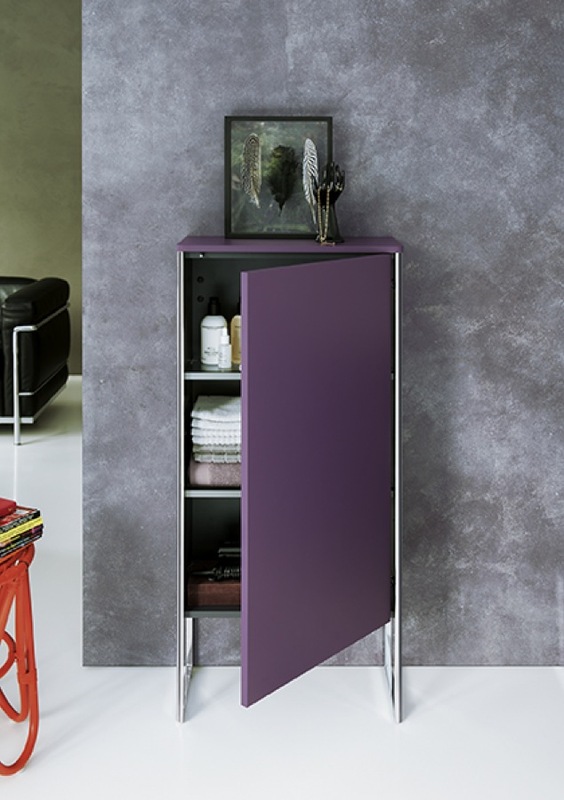 Perhaps consider the Pantone Colour of the Year Ultra Violet, which is reflected in the Aubergine finish from Duravit or Masterclass Kitchens’ Mulberry decor for its Hampton furniture collection. Pink has long been featured on retro-style kitchen appliances, but has recently been introduced as a furniture finish. Schuller, PWS and Masterclass Kitchens have all recently embraced a pink décor and pink has also been added to bathroom accessories in the Laufen by Kartell collection, as well as tile collections from Domus. 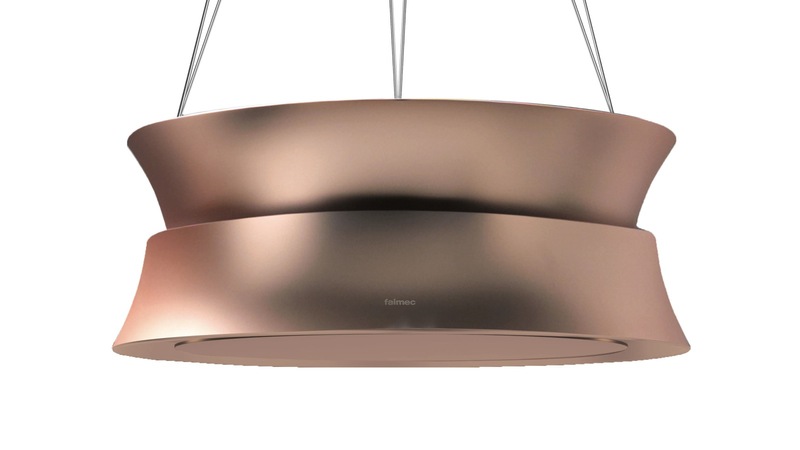 Head of marketing at Methven UK Simon Cornelius says: “Believe it or not, we expect to see dusty salmon pink becoming much more ubiquitous over the next few years – it is a colour that has been reappraised of late and is now as popular among men as it is with women. And Simon Bodsworth of Daval agrees: “Grey remains the leader for contemporary kitchen design. For the trendsetters, it is prudent to know that blue will become the colour of the moment, with darker shades proving most popular: Slate, Steel and Denim Blue, Heritage Blue and Dust Grey. But the question hot on the lips of every kitchen and bathroom designer, must be how can they identify upcoming colour trends and be first to capture the wave? Here, there is a division of thought about what makes a trend. Product manager at Smeg Lucy King suggests to keep an eye on the fashion catwalks and interior social media: “Interior trends take their lead from the catwalks just as much as fashion does. However, industry experts also state it is their responsibility to drive the trends. 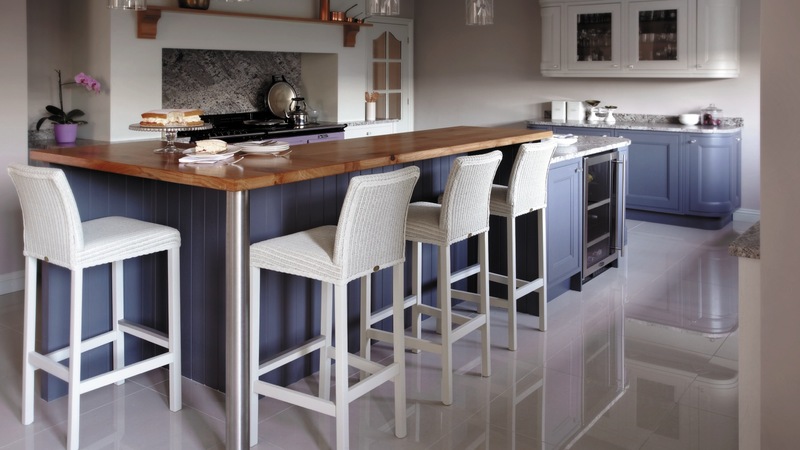 Certainly, it’s important for a kitchen designer to stay ahead of colour trends, as they are significant to create the overall aesthetics of the kitchen and therefore is key to understand to guide clients. So, take a look at the colour influencers, fashion catwalks, contract and domestic interior trends, and you’ll be sure to be one step ahead. Check out our other features from the September 2018 issue. 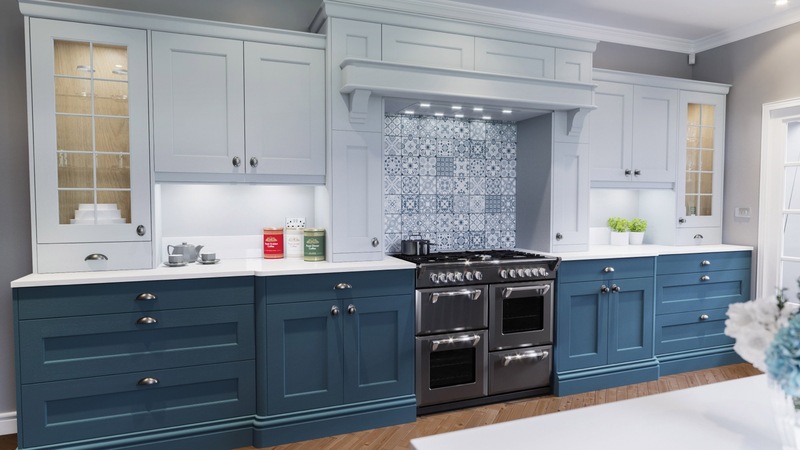 We looked at the rapid rise of the built-in single oven and how wall panelling is now a design choice rather than a design compromise. We also explored how designers should approach the creation of a large kitchen space, asking the question: open-plan or broken plan?